England will definitely be without midfielder Jordan Henderson for the upcoming games against Germany and Lithuania, as Liverpool manager Jurgen Klopp has confirmed that the player is still struggling with an injury. Henderson has not played for Liverpool for well over a month. His last appearance for the Reds was in the 2-0 win over Tottenham at the start of February. Even though Liverpool have managed to get wins over Arsenal and Burnley in recent weeks, they have solely as to the presence of the former Sunderland midfielder. He has truly been an unsung hero in the Liverpool first-team. As a result, Liverpool are extremely keen to protect their best asset so as to get him back as soon as possible. The club feeling that are risking him for the World Cup qualifiers against Lithuania and a friendly game against Germany would be too much of a problem for the club if he manages to spark the injury once again. 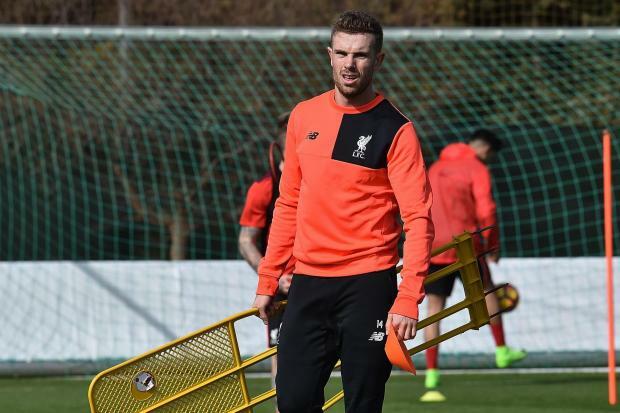 Henderson has taken part in training over the last couple of days, but he did not feature in the 2-1 win over Burnley. It is understood that he has been training alone in order to get his fitness back. The midfielder has played in 24 league matches this season and scored one goal. He has also contributed four assists. "No chance. The break [between games after City] hopefully is two weeks, we hope that will bring him back but there will be no game [for him] in this time.He cannot train, for sure he cannot play against City. It makes sense he is doing the rehab. Hopefully he can run in the second week of the international break and then we will have to see," said Klopp. Since his debut for the national team in 2010, Henderson has featured only in 31 games.